We had so much a fun at this Indian - Multicultural wedding at the Wedgewood at Stallion Mountain golf course. 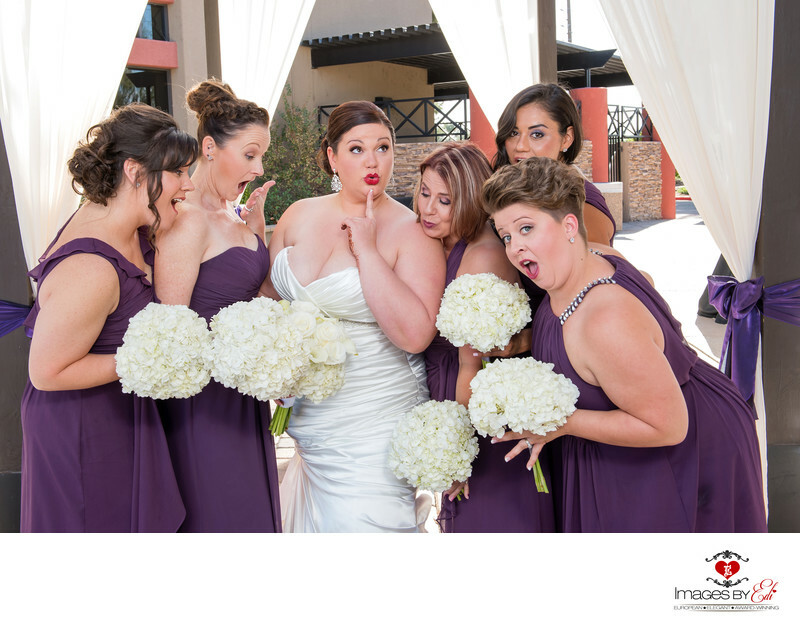 The bridesmaids wearing a dark purple dress and have white bouquets while looking at the bride's ring. Location: 5500 E Flamingo Rd, Las Vegas, NV 89122..